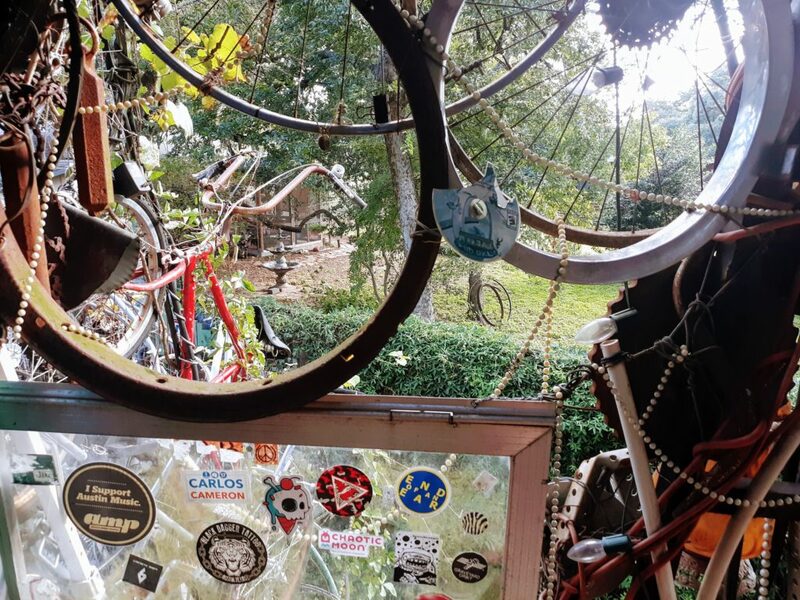 The Cathedral of Junk in Austin, Texas is one artist’s dream of turning his love of sculpture and avid collecting into an attraction and a quirky cathedral for couples to be married in. Most people are encouraged to call beforehand if just visiting and making a reservation or appointment if planning to be wed there – however, the place can also be a on-the-fly wedding spot for elopers. Perhaps the most comical part of the entire attraction, is the bench on the outside where people who don’t call beforehand typically sit if the Hannemann’s aren’t home. 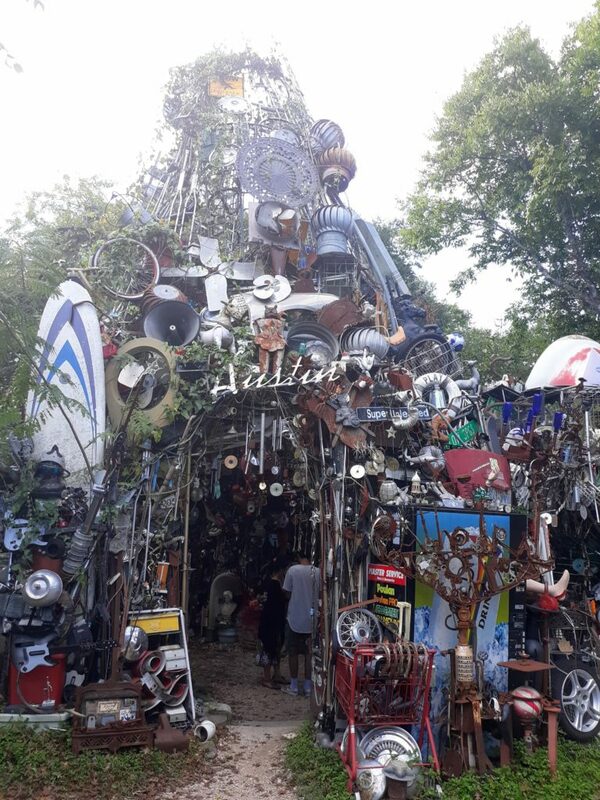 The Cathedral of Junk is designed and built by Vince Hannemann and his wife, who live in the house on the property. 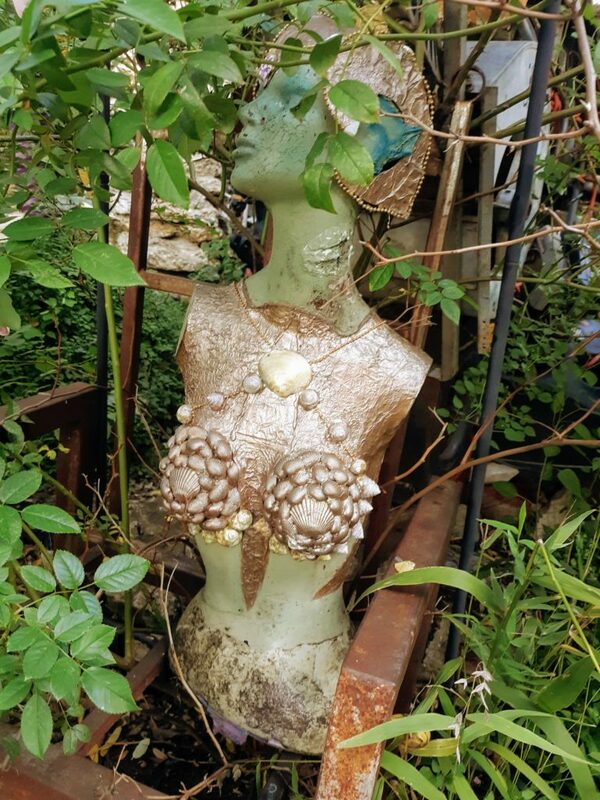 In the backyard is where the Cathedral of Junk resides, in addition to a few other large scale art installations including the pet memorial mesa and the triangular wooden throne. The Cathedral began being built in 1988 and continued from there. 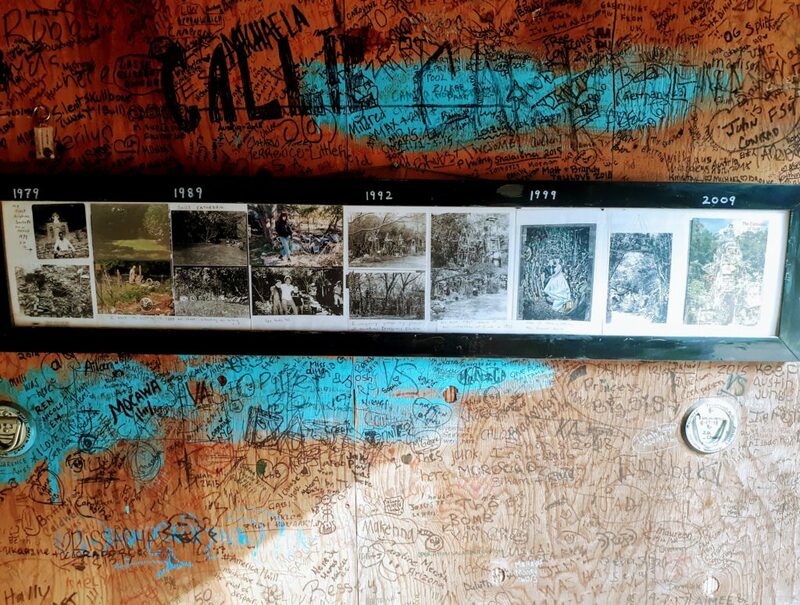 Before approaching or upon leaving the Cathedral of Junk, stop into the tiny shack by the gate with a brief timeline and history of how the Cathedral of Junk came to be. The main cathedral has several floors and a main room, twists and turns, spiral staircases and mini sculptures within other mini sculptures can be found around every corner. 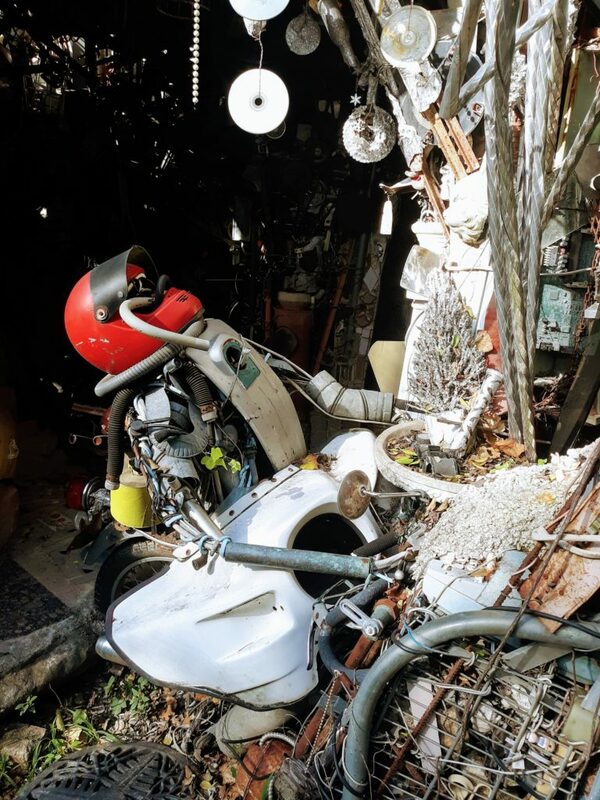 Different themes in different rooms whether it be emphasizing the color yellow or paying homage to strictly automotive parts. 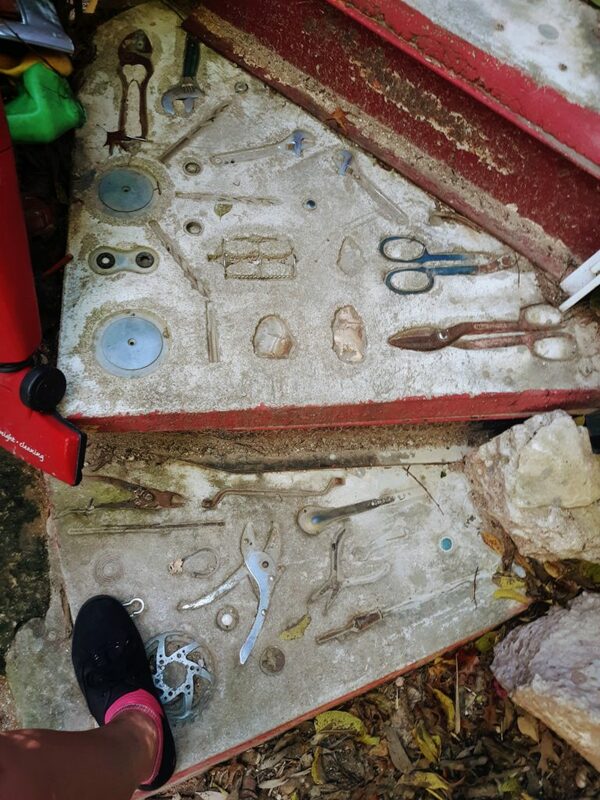 Other areas include mosaic tiling and old vintage signs, lounge chairs made of ceramics, kitchen utensils, bicycle parts, a slide built for kids and other strange items spread throughout the landscape. 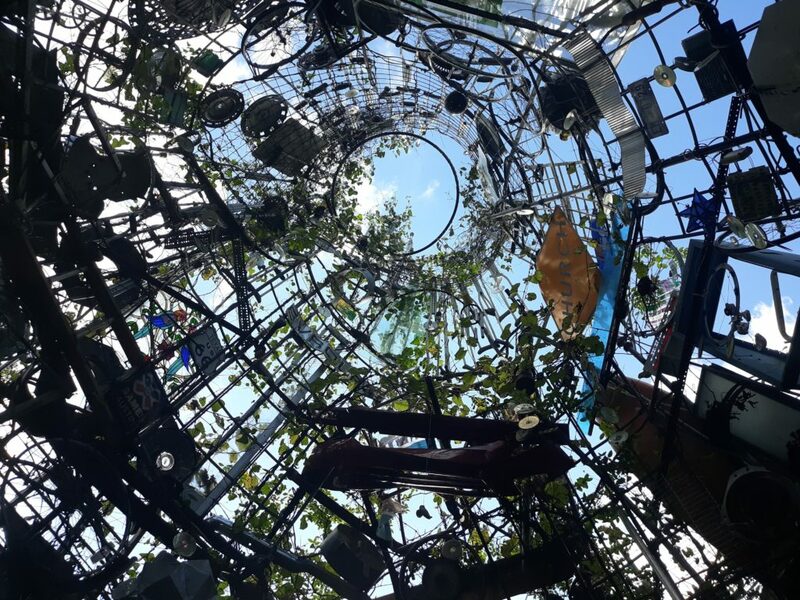 The place is a definitely an inspiration for upcyclers, artists, collectors and those looking for something clever to do with their loose junk.